On November 27, 1095, Pope Urban II announced at the Council of Clermont (in Clermont, France) before a mixed council of clergy and lay people (landholding nobles) a call to arms that would become known as the First Crusade, a Catholic invasion of the Moslem world with the goal of “liberating” Jerusalem and the Holy Sites and putting them back in Christian hands. The call to arms was made in part at the request of the Byzantine Emperor Alexius I Comnenus (various spellings) based in Constantinople (modern Istanbul) who was having trouble dealing with constant wars with the Moslem Turks. Urban and the other Catholics of the Latin Rite (Roman Catholics) were somewhat at odds with the Eastern Rite Christians (Greek or Eastern Orthodox), known basically as “Greeks” whether they were ethnically Greek or not, but the lure of the Holy Land and possible riches to plunder made the call an easy choice at an opportune time. About 35,000 European Christians (Normans, Franks, Italians, Germans) were joined by around 2000 soldiers of the Byzantine Empire and Armenians. Norsemen that had settled in Italy and Sicily also participated. (Only around 5000 of the Crusaders were mounted knights in armor, the rest were basically infantry.) The Crusaders marched overland through Turkey with some help from Comnenus and had military success along the way due in part to a lack of cohesion among Moslem kingdoms and cities that were natural rivals of each other. Crusader armor, tactics, and ferocity defeated larger numbers of Moslems time after time. By July 13 of 1099, the victorious Christians entered Jerusalem, slaughtering the inhabitants in a most barbaric fashion. Jews were often slaughtered along with Moslems, and sometimes even native Christians were treated like a defeated foe. Christian nobility set up a Kingdom of Jerusalem, while the Pope reveled in the conquest of places such as the Holy Sepulcher being back in Christian hands, but Urban II died only a couple weeks after the conquest of Jerusalem. As had occurred throughout the long march to the Holy Land, Crusader knights and nobles squabbled and nearly came to combat with each other over the rights of ownership of various cities and castles and leadership of the Crusade. There was much acrimony and little accord. 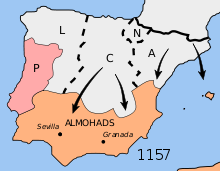 Meanwhile in Europe, Moslems were being expelled from the Iberian Peninsula (Spain and Portugal) in a war called the Reconquista. Many of the Crusaders had been veterans of the Reconquista. For many of the Crusaders the quest was a holy quest, one to gain the holy places for Christians devoted to Jesus Christ. The same was true for many of the clerics, knights, and nobles that embarked on the Crusade, but for many others the real lure was new lands to conquer and set up fiefdoms to rule and treasures to plunder. The fact that Jerusalem had little water, strategic value, or even rich farmlands came as a disappointment to Crusaders that aimed to settle there. Many Crusaders died of disease along the route to Glory, and many died in battle. Many more had grown weary and just went home, including some nobility who took their soldiers home with them. By 1100, only a few hundred Christian knights remained as the core defense of the Crusader States that had been established in conquered cities. 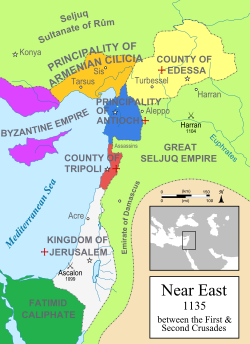 Initial attempts by Egyptians and Turks to oust the Christians failed, but under the leadership of Saladin (of Kurdish ethnicity) the Moslems finally retook Palestine and Jerusalem and kicked out the remnants of the Crusader legacy by 1187, after less than a century of Christian rule of Palestine and the Levant. Jerusalem is the site of many holy places to Christians, Jews and Muslims, and had been fought over for centuries. While modern Muslims continue to revile the word “Crusade” or “Crusader” and believe they have the rights to own and administer Jerusalem, neither they nor the Christians really have a historically valid claim on the city. The city was Jewish long before (as in hundreds of years) it was Christian or Muslim. Under Israeli administration, Christians and Muslims are welcome to visit and pray at their holy sites in and around Jerusalem, though many modern people have suggested a “neutral” international committee be the caretakers of Jerusalem. What do you think about the First Crusade and the administration of Jerusalem? Please share your thoughts on these contentious subjects. Asbridge, Thomas. The First Crusade: A New History. Oxford University Press, 2005. Frankopan, Peter. The First Crusade: The Call from the East. Belknap Press, 2016. Previous ArticleApril 28, 1503: What Was the First Battle Won by Small Arms Fire?